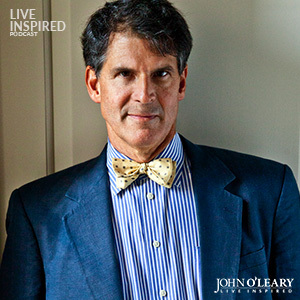 John O’Leary interviews author + neurosurgeon Dr. Eben Alexander about his near-death experience on the Live Inspired Podcast. The book Proof of Heaven ignited a conversation around the globe about how heaven can be scientifically proven by examining near-death-experiences (NDE). It shared the NDE of the author, neurosurgeon Eben Alexander, MD, and it soared to the top of the New York Times bestsellers list. Today we are joined by Dr. Alexander to discuss his NDE, how it changed his understanding of science, the world we live in today, the life beyond it and what it means in your inspired life. Dr. Alexander was agnostic + studied neuroscience until falling into coma from meningitis, leading to a NDE, which he should not have survived. This incident completely changed his world view. Today, he shares what NDE can teach us about consciousness and researches how elements of science and spirituality intersect. Anita Moorjani wrote Dying to Be Me after being treated for advanced lymphoma in February 2006. Dr. Mary C. Neal, orthopedic surgeon, wrote To Heaven and Back after her lengthy time submerged underwater. Get Dr. Alexander’s #1 New York Times Bestseller Proof of Heaven. Get Dr. Alexander’s most recent book Living in a Mindful Universe. Get Dr. Alexander’s book The Map of Heaven. Dr. Alexander shares his story of being adopted as being “chosen” by his parents. Figure skating champion + Live Inspired Podcast guest Scott Hamilton, shared the same perspective. 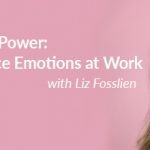 Listen to the discussion on episode 68. 1. What is the best book you’ve ever read? Beyond Physicalism: Toward Reconciliation of Science and Spirituality by Edward F. Kelly. 2. What is a characteristic or trait that you possessed as a child that you wish you still exhibited today? Curiosity. Through much of my academic career, curiosity was drilled out of me and the last 10 years have been a strong reawakening of an extraordinary, unbridled sense of curiosity. 3. Your house is on fire, all living things and people are out. You have the opportunity to run in and grab one item. What would it be? My dad’s pocket Bible that was with him during World War Two because it got him through so much and is a rich source of connection to me. 4. You are sitting on a bench overlooking a gorgeous beach. You have the opportunity to have a long conversation with anyone living or dead. Who would it be? Albert Einstein. 5. What is the best advice you’ve ever received? My son, Eben Alexander IV, encouraged me to write down everything I remember about my near-death experience before reading anyone else’s experience. 6. What advice would you give your 20-year-old self? Love yourself. The best way to manifest that is to show love for other beings. 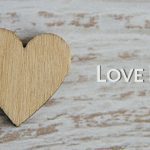 Love, compassion, forgiveness, acceptance and mercy are the greatest gifts we can give ourselves and others. 7. It’s been said that all great people can have their lives summed up in one sentence. How do you want yours to read? I made progress. I awakened. If you enjoyed today’s episode: Subscribe, rate & review on Apple Podcasts or wherever you get your podcasts. See you here next Thursday! John, your podcast is the hot chocolate for my soul, when I’m getting moody I know I haven’t listened to you this week. Thank you for all you do, Love you my friend! Dr. Eban made me want to know more…and read his books. He also pushed me towards learning more about God. I read Dr. Alexander’s book, and came away totally unconvinced. His wild hallucinations during a coma does not, in my mind, constitute “proof of heaven”.